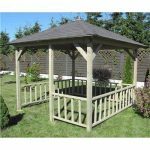 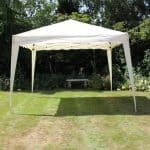 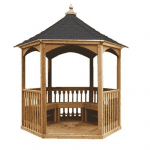 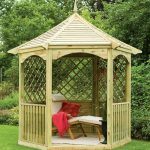 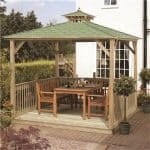 This 8-sided Gazebo makes a stunning addition to the outdoors, constructed from pressure treated wood not only does it look incredible, it is also low maintenance and will last for years. 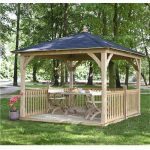 The design is sublime with a beautifully crafted wood perfect for outdoor dining or just to take a well-earned break admiring the view. 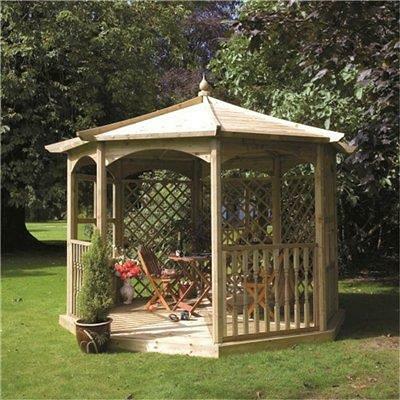 Various styles available comprising of different panels, lattice and balustrade.